Each year, C-VILLE Weekly asks readers to choose the best things about Charlottesville—from swimming hole to steak. This time around, we added a new category: Weddings. We asked local brides to tell us, if they could do it all again (if only! ), whom would they entrust with their special day? Behold, the results. A wedding planner’s job is to take your big day from a hodge-podge Pinterest board to a fully realized vision that takes into account each detail. Readers say there is no one more up to the task than Meghan Streit, who takes on a limited number of weddings each year to ensure that you get her full attention—and exactly the day you always dreamed of. Choices, choices, choices. That’s the name of the game at The Local, where wedding parties can situate in one of four areas—the ultra-cozy Hearth Room, the covered Blue Ridge Pavilion, the pergolaed Skyline Room or the smaller, budget-friendly Wine Room. In any location, chef Matthew Hart’s menu elevates local (obviously) trout, beef, chicken, vegetarian and pasta dishes. Vineyards for the win! 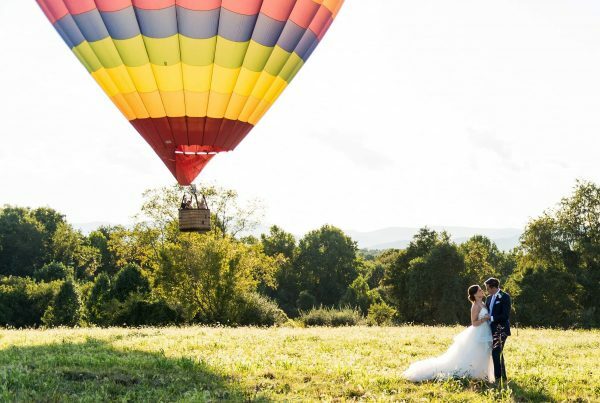 For Charlottesville brides, there’s no better big-day backdrop than lush vines and a mountain view. And, at Pippin Hill, you get both of those plus the expertise of chef Bill Scatena, who sources ingredients from nearby farms and the venue’s own kitchen garden. Not to mention a beautifully designed barn-like structure you get the full run of—from the bridal loft to the tasting room. A former economics major, Robert Radifera discovered he was, in fact, a photographer during a college trip to Paris. Twenty years later, he’s known locally for not only capturing the big, blockbuster moments, but the quieter details of your special day as well. If a picture is worth a thousand words, how much is a moving picture worth? We’ll let the newlyweds answer that—they’ve been hiring Ian’s Creations to document their nuptials for more than 15 years. Owner Ian Atkins specializes in crafting a sweet, sentimental film so you can continue to let the memories move you long after you ride off into the sunset. Free tastings, in-house rentals (a rarity for local catering companies)—and don’t even get us started on the food. Harvest Moon continues to impress with seasonal menus and a helpful staff that’s truly invested in your big day. For those who really wanna chow down, Barbeque Exchange piles on the pork and an array of Southern sides from pickles to pepper cabbage. Brides can expect to spend 10 to 15 percent of their wedding budget on flowers. And, when done right, it’s worth it to walk into your reception, table arrangements overflowing with bright blooms and the air smelling of springtime. That’s where Southern Blooms comes in. Mother-daughter partners Pat Roberts and Sherry Spencer are the go-to gals for beautiful bouquets—the cherry on top of your already perfect day. Want a cake that looks like a wine bottle? Or in the shape of UVA’s Rotunda? Or maybe you’d prefer a simple stack of tiers with a cascade of flowers. Maliha Creations’ Anita Gupta makes beautiful cakes inside and out. And the best part? 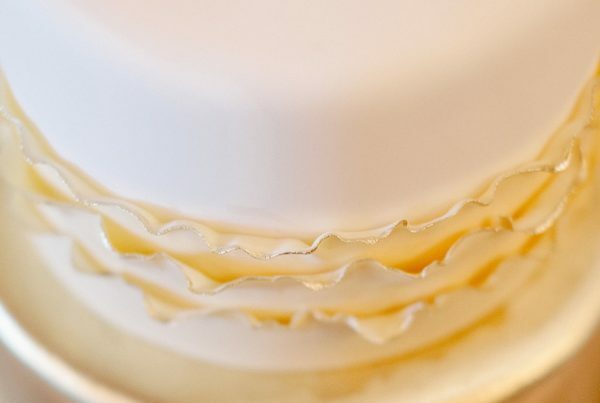 Your (at least) 100-serving cake comes with a fresh tier on your one-year anniversary. When Sam Hill Entertainment was founded in the ’90s, owner Hank Wells was looking for a way to avoid getting a “real job.” He began booking bands at local venues, in awe of the way live music transforms a crowd. And while that fascination eventually turned into a “real job,” the company’s fun-loving philosophy has never changed. Its job is to ensure that your wedding, as they say, turns into a party. It’s an age-old wedding question (well, modern age-old): band or DJ? DJ John Garland would vote DJ, unequivocally. He has a library of music spanning more than 30,000 songs—from the cool beats of a late-night jazz club to the twangy strum of Americana—and is open to requests. In fact, he welcomes them. Tell him what you like (or, better yet, what you don’t like) and let ’er rip. The Charlottesville High School Orchestra program has taken home many awards over the years, emphasizing excellence in all of its musicians. But the string ensemble’s quartet, currently called Magnolia and comprising four rising 12th-graders, takes the prize in this category. Self-directed by the students, Magnolia performs at a variety of events in and around Charlottesville. An interfaith minister, Reverend Claire Goodman has performed ceremonies for nearly 800 weddings since 2004. She starts with an initial meet-and-greet and from there discusses what’s most important to you—is there a cultural or religious element? Do you want rituals, prayers, vows?—so that you are a part of the process when it comes to crafting the perfect ceremony. After all, you’re only doing this once. When it comes to your wedding-day checklist, lighting can’t be overlooked. It helps set the mood, from colorful spotlights to custom monograms emblazoned on the dance floor. Blue Ridge AV & Lighting makes it work no matter if you’re in a barn or a banquet hall. Plus, the local company offers sound and fabric décor services, too. Save-the-dates and invitations are the first inkling (pun intended) you give your guests about the look and feel of your wedding. Is it formal? Is it bohemian? Is it on-trend? Rock Paper Scissors helps set the right tone every time. Co-owner Dani Antol will help you navigate the process of custom printing—letterpress! Engraving! Thermography!—until you’re an expert (and you’re having a good time). With her jewelry worn by brides and bridesmaids at more than 200 weddings in 2015, it’s no surprise Erin McDermott takes the top prize in this category. Her handcrafted designs range from the classic—freshwater pearls on a gold teardrop—to the unexpected—bright druzy crystals in unique color combos. In the runner-up spot, Fink’s, founded by a former pharmacist in 1930, has the right prescription for beautiful bridal jewels. 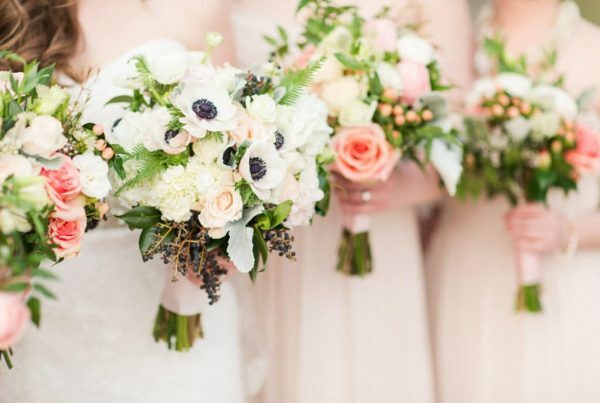 Charlottesville isn’t exactly overrun with bridal shops, but even if there were 100, we’re betting Sealed With A Kiss, the downtown boutique (and its sister store in Richmond) specializing in everything from wedding gowns to bridesmaid dresses, would still take the top prize. Owner Susan Sorbello has more than 20 years in the business and knows how to make each bride feel special for her special day. Gone are the days of stiff, shellacked, prom-esque hairdos. Stylist Erica Haskins knows what modern brides want. In a word? Movement. With nearly 20 years of experience in cutting and styling, Haskins, from her downtown salon or on location, coaxes your hair into a thing of beauty that still looks natural and touchable. Brides turn to her when they want a great big-day ’do (rather than a don’t). They don’t call them “blushing brides” for nothin’. Of course, you don’t want to be too blushing, which is where Rouge 9’s Linda Livernois comes in. A former makeup artist for Lancôme and Chanel, Livernois ensures makeup isn’t the first thing people see as you walk down the aisle. And on a day when all eyes are on you, that’s an important consideration. It’s been said that rain on your wedding day is good luck, but tell that to a bride who’s about to walk her Monique Lhullier into her outdoor reception under a gray sky. Among Skyline Tents’ many offerings—flooring, lighting, tables and chairs—it also provides a reserve option. Keep a tent on hold in case of rain so you don’t have to worry. Talk about having it covered. Here’s something truly impressive (and, we’re sure, the reason One Creative Cookie takes top honors). Among the business’s many sweet treats, it serves up cookies with your picture iced on them. Have your photographer send over a photo from your first look and, by the time you arrive at the reception, a whole batch of customized cookies will have made their way from the kitchen to guests’ lips. In the runner-up spot, it’s hard to say no to a Gearharts truffle. That’s just a fact of life. While planning her own daughter’s Charlottesville wedding, Albemarle Limousine founder Andrea Saathoff couldn’t believe the closest car rental company was in Washington, D.C. So she started her own. Eight years later, Albemarle Limousine has a fleet ranging from three-passenger sedans to 55-passenger buses. Plus, a collection of picture-ready vintage cars (like a 1940 Senior Packard limo).